Kings Caravan & Campsite is located at Keeraunmore Ballyconneely and is close to white sandy beaches, golf, pony trekking and fishing. Open from April – October. 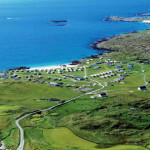 Located in Clifden Town Centre, Clifden Bay Hostel is the ideal place to base yourself to enjoy and tour the whole Connemara area. 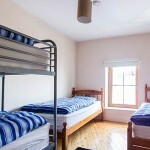 It has stunning views of Clifden bay from the hostel balconies and is close to all restaurants, shops and bar.